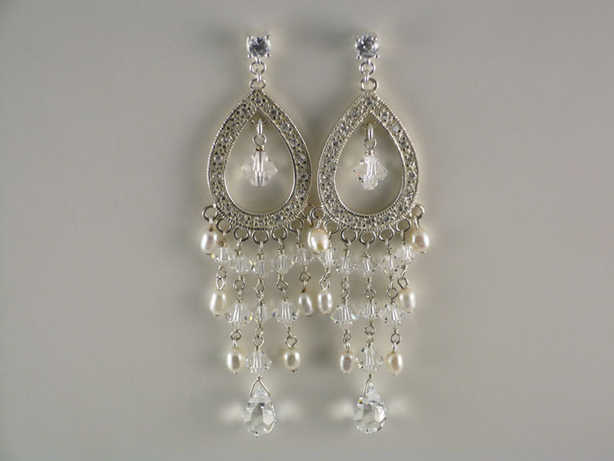 I wanted to followup our last blog with some lovely pieces from the Zuka wedding jewellery collection that would be a perfect compliment to the dresses that were featured on our 5 hot trends for the season. 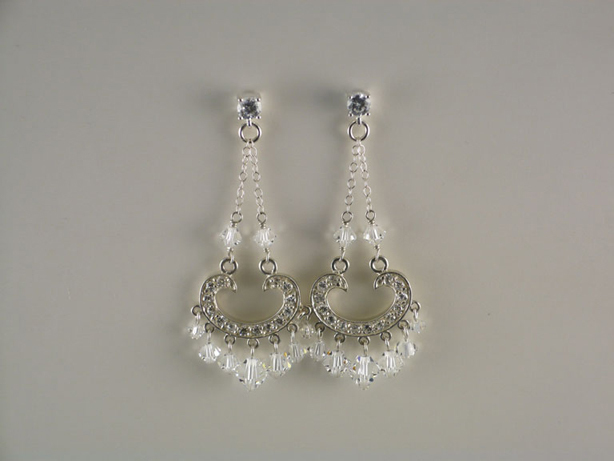 This dress is amazing and to compliment the head-to-toe lace, a stunning pair of chandelier earrings like these “Eiffel Tower” vintage-inspired ones would be perfect. 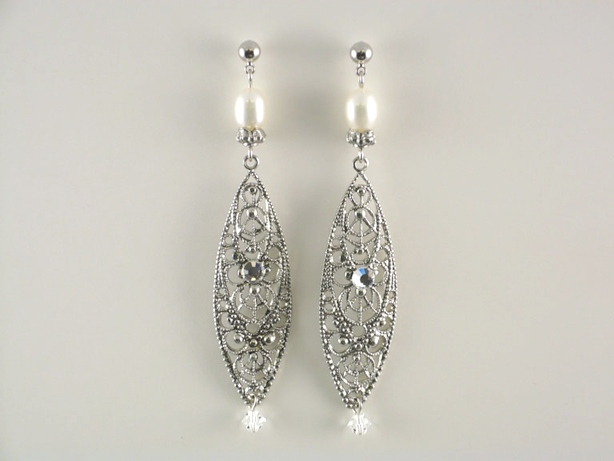 The focal point is on the bride in this dress, add these sparkly pair of earrings and they won’t detract from that overall glamorous look. 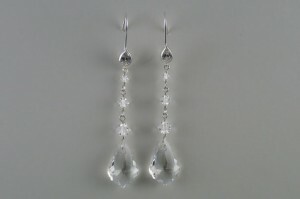 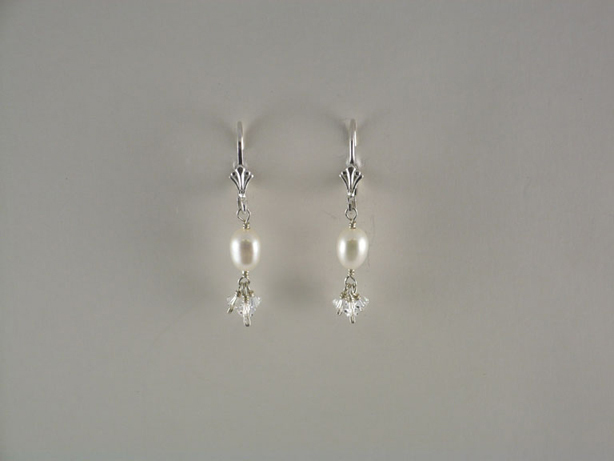 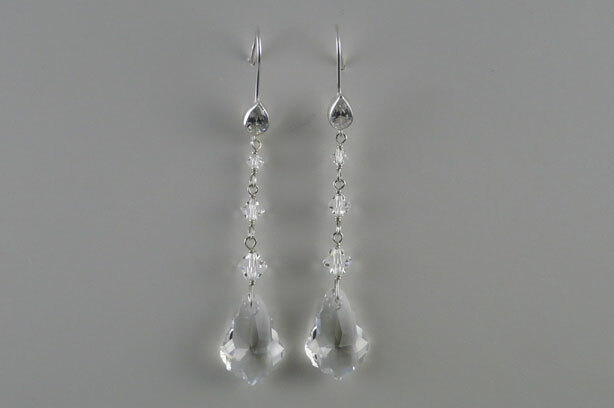 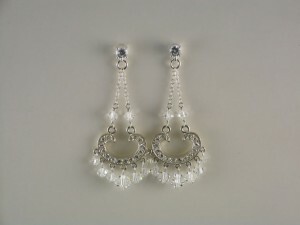 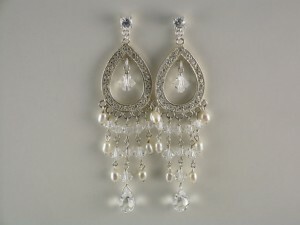 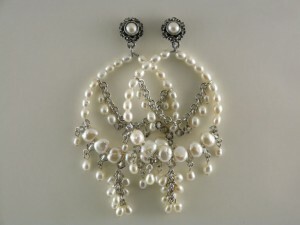 These linear Swarovski crystal baroque pendant earrings are perfect for this dress. The action, so to speak, is in the plunging back with the rhinestone beading and the incredible ruffle details. For a dress like this the addition of a cuff bracelet or two would be amazing. 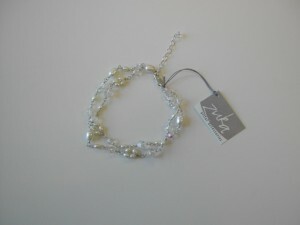 For one of our lovely brides, Jenna, we did two of these incredible Swarovski and Czech glass bead rhinestone bracelets. 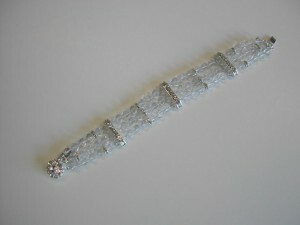 You can see the bracelets in our accolades section. 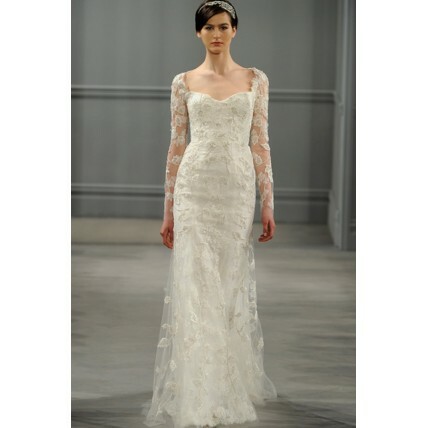 With delicate sheer tulle and organza, layering is a very popular trend. 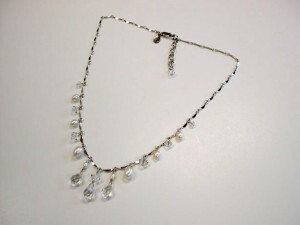 With this style of dress and when the wrap is removed there is a wonderful canvas of a neckline that you can add a necklace with a tiny earring or go for it with a statement earring. As the above-the-knee dresses are making a comeback so is the vintage-inspired throwback to glamour wedding jewellery that go right along with it. 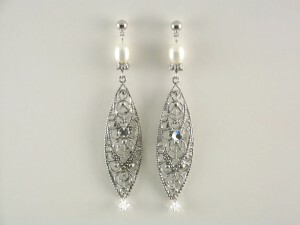 For this modern twist to a full length gown, you can afford to play boldly with your jewels. 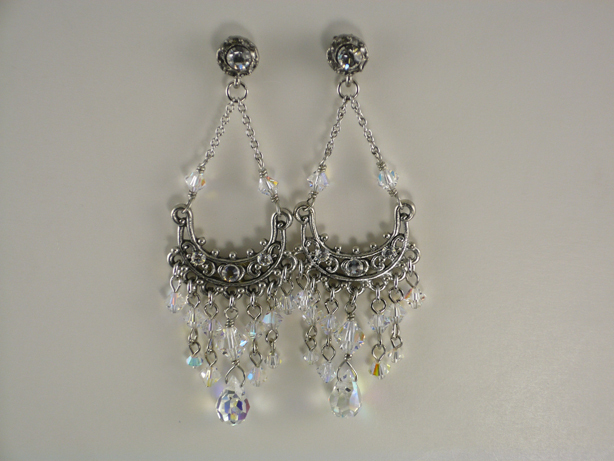 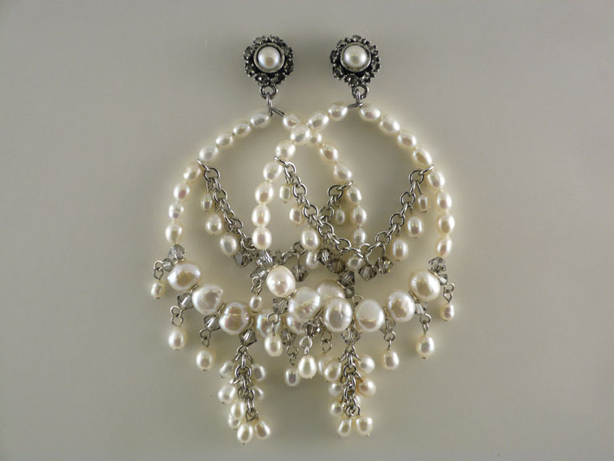 I think over-the-top glamour is in order and so here are two examples of some earrings that could work beautifully…keeping in mind they are still bold but yet oh so romantic in the same breath.